Imagine drifting off to sleep with the night sky spread above you and the sea waves beneath you. 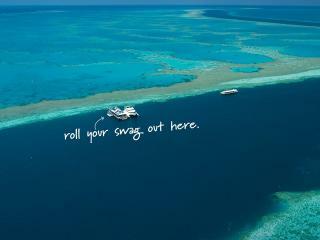 On Cruise Whitsunday's Reefsleep you can do just that. 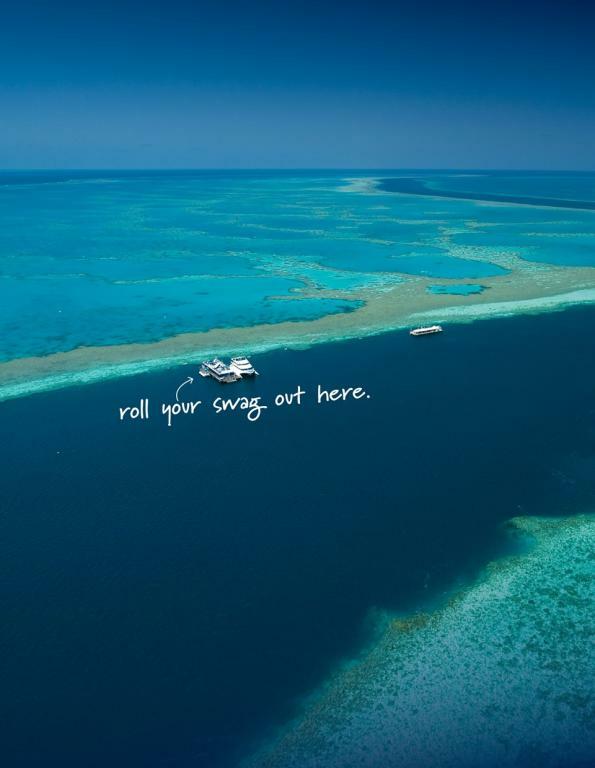 Spend 2 entire days exploring the beauty of the outer Great Barrier Reef 40 nautical miles off shore, and in between spend the night in a specially designed Under the Stars Swag. This is 'glamping' on the open seas! 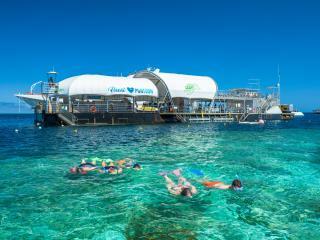 Your Reefsleep experience begins with departure from Port of Airlie or Whitsunday Islands accommodation in the morning. 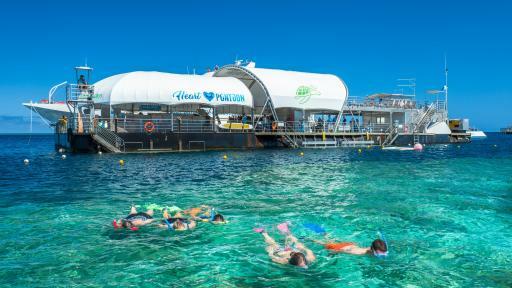 You will cruise out to the reef with other day trippers on the Great Barrier Reef Adventure Cruise and arrive at the Hardy Reef Pontoon a couple of hours later. Here you can enjoy all the standard cruise experiences such as snorkelling, semi submersible, underwater viewing chamber, reef expert presentations, use of wetsuits & sundeck. 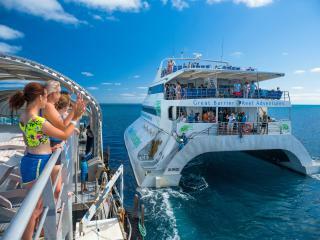 Optional activities are also available payable direct including scuba diving, helicopter tours and massages. 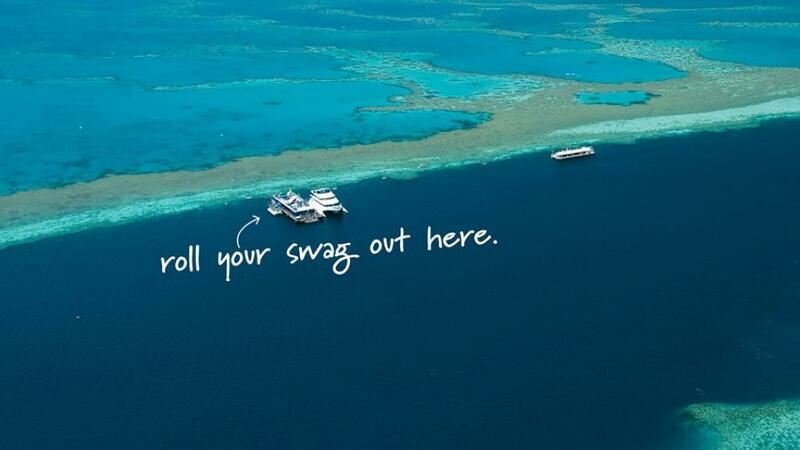 Once the day trippers return to shore you have the pontoon to share with only the small group of Reefsleep guests. 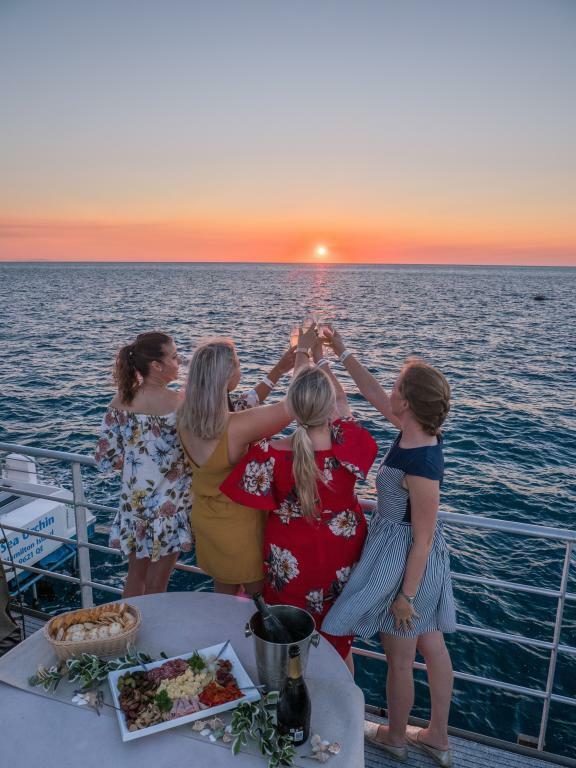 Enjoy the serenity of the reef at sunset with a drink in hand. 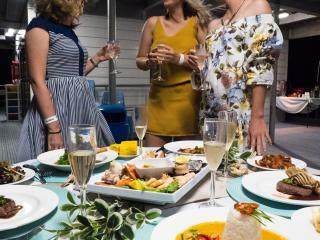 All meals are provided including a sumptuous gourmet dinner. Be amazed at the vast starry night sky far from man-made lights. A popular night time optional extra is the night dive, which can be pre-booked and paid direct. Bunk down in your swag for the night and continue to marvel at the beautiful nature surrounding you. There is one Double Room on board for an accommodation alternative to the swag (available only for 2 people, ask your consultant for details). 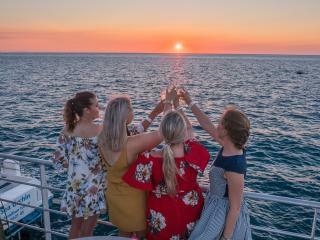 The second day begins with a great breakfast and you can explore the reef with your small group before the day trippers arrive again. 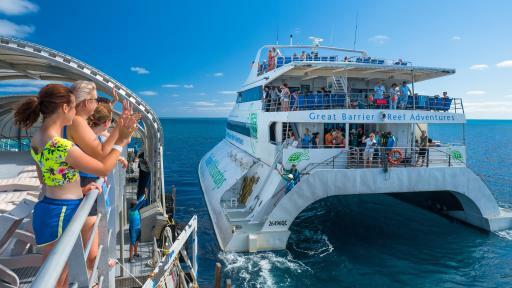 Another entire day can be then spent with the Great Barrier Reef Adventure Cruise before heading back to the mainland or island resort in the afternoon. Reefsleep is truly a unique experience for those who love the ocean and the reef and want to experience the true Whitsundays and Great Barrier Reef. 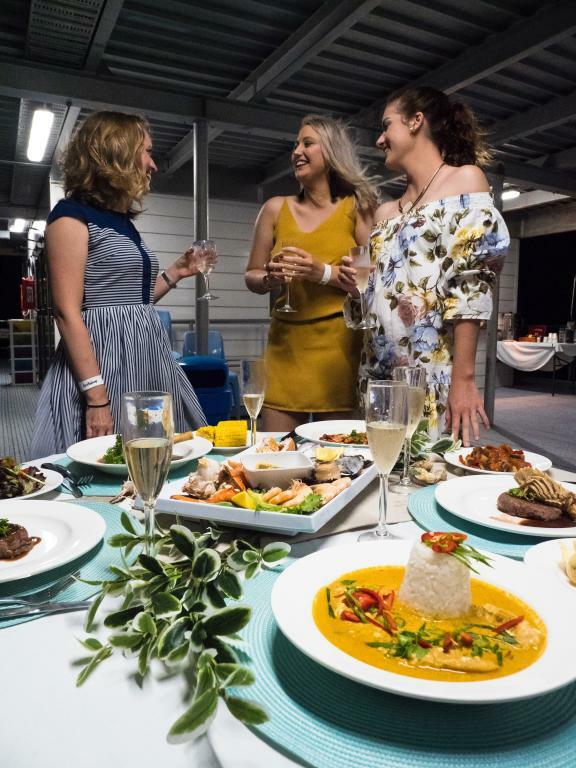 Dinner menu consists of a choice of 5 delicious options for guests to select. Please advise your consultant at time of booking.